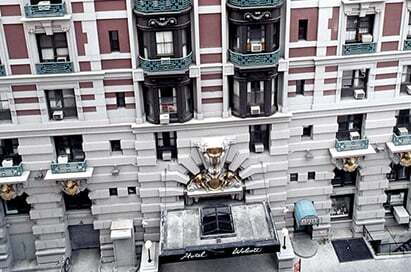 In New York, there’s a museum for every aesthetic and taste, with vast collections to savour. 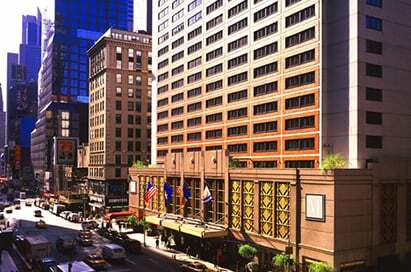 Whether you browse the galleries, marvel at superb architecture or find inspiring places to sketch or take photos, your students will not be disappointed on an art school trip to New York. In the MOMA, Guggenheim and the Metropolitan Museum of Art you'll find some of the world’s finest collections, or head off the beaten track for a Brooklyn street art tour where murals adorn walls and brighten the cityscape. 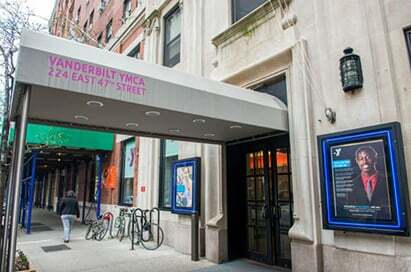 Add in some visits to the iconic sights of the city, a broadway show and some shopping on Fifth Avenue and you will provide students with an all round and memorable visit in this most dynamic of cities. The Metropolitan Museum of Art houses more than three million works of art from all over the world across history. It is almost impossible to see everything in one day: the two million square feet too much for even the most organised visitor. Instead of wandering through all the galleries, visiting one of the themed exhibitions is a good plan. There is also a roof top garden overlooking Central Park, which is open in the summer. 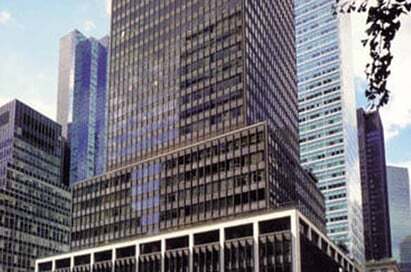 The Museum of Modern Art (MoMA) contains the finest and most comprehensive collection of 20th Century Art in the world. The contemporary design is a masterpiece of glass spaces and high ceilings creating the perfect setting for its collections of modern art. The MoMA also has revolving series of retrospectives of past masters and shows from leading artists today. The museum’s collection offers an overview of modern and contemporary art, including works of architecture and design, drawing, painting, sculpture, photography, prints, illustrated and artists books, film and electronic media. At the heart of the Museum is the four story Marron Atrium. The permanent collections feature some of the famous works of Jasper John’s Flag, Van Gogh’s The Starry Night and Picasso’s Les Demoiselles dAvignon as well as Jackson Pollock’s drip paintings. The museum offers a great experience for those wishing to submerge into modern art. The museum contains Solomon R. Guggenheim’s excellent collection of Impressionist and Post-Impressionist paintings. It features works from artists of the 19th and 20th century including: Brancusi, Braque, Calder, Chagall, Robert Delaunay, Giacometti, Kandinsky, Klee, Leger, Miro, Picasso and Van Gogh. The amount of artwork on display is significant and the best way to spend the day effectively is to plan. 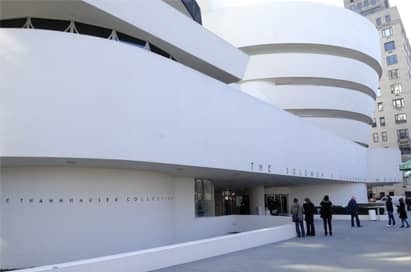 The building itself is also worth seeing as its spiral form is truly unique and is the only building in New York designed by Frank Lloyd Wright. The opulent residence that houses this private collection was designed by Carrere and Hastings, the same architects who worked on the New York Public Library, for industrialist Henry Frick. 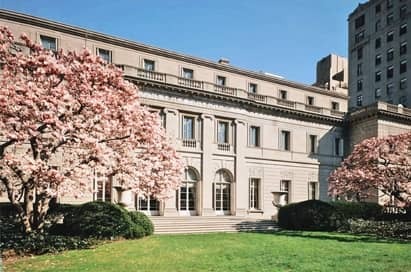 The mansion has been preserved on Millionaire’s Row and makes for the perfect setting for such an incredible collection of European painting and decorative arts. A true work of art in its own right: the low stone building and courtyard take up almost an entire city block, with its marble fireplaces and decorative columns the mansion is something to marvel at. Following Mr Frick’s death in the early twentieth century his private art collection was turned into a museum. The permanent collection includes world-class paintings, sculpture and furniture by the likes of Rembrandt, Varmeer, Renoir and French cabinet maker Jean-Henri Riesener, with most of the collection being classic sixteenth to eighteenth century pieces. The free self-guided tours are a great extra that helps navigate through the collection. The Whitney Museum of American Art sets itself apart from other museums with its unique architecture but also with its interior. 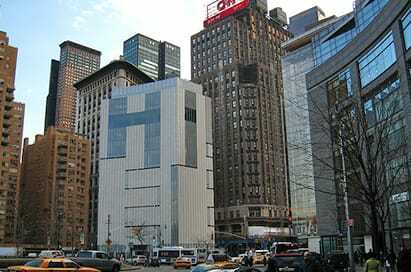 The museum is one of the world’s leading establishments of 20th century and contemporary art of the United States. The museum focuses on the works of living artists and is celebrated for presenting important exhibitions and for its renowned collection which compromises over 19,000 works by more than 2,900 artists. The museum often hosts controversial exhibitions that serve to measure the historical importance of American Art and mirror the present culture. The Whitney Biennial, the museum’s signature exhibition, has always provoked intense debate and become an important survey of the state of contemporary art in the United States. 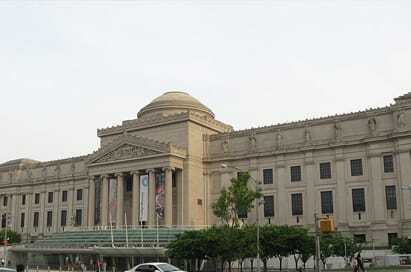 The Brooklyn Museum of Art is one of America’s premier art institutions, with an active program of exhibitions. The museum’s beautiful neo classical structure was designed by McKim, Mead & White in 1893. 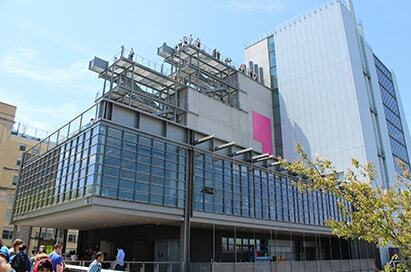 The museum is situated in a 560,000 square foot Beau Art building in central Brooklyn. The museum boasts a collection of 1.5 million artworks including several world-class collections. 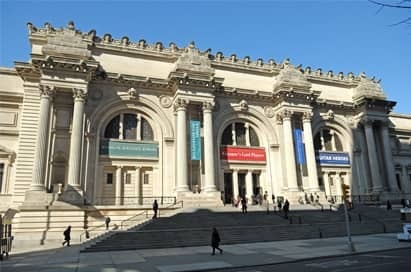 The Brooklyn Museum has one of the best collections of Egyptian Art in the world: their permanent collection includes Classical and Ancient Middle Eastern Art, Arts of Africa, the Pacific and the Americas. The museum has a history of breaking convention. In 1923 it became the first such institution to have African objects displayed as art rather than artefacts. This collection has since grown becoming amongst the most important in the country. The museum’s collections range across all continents with America to the Islamic world being featured through a collection of ceramics, sculptures and paintings. The museum also has a fantastic collection of prints, drawings and photographs including large groups of work by Sargent, Homer and Eakins. The museum also holds a large collection of German Expressionist images such as Dürer, Rembrandt and Toulouse-Lautrec. One of the most important icons of the 1970s feminist art is also featured at the Brooklyn Museum of Art. The Dinner Party by Elizabeth A. Sackler is a massive ceremonial banquet with a total of 39 place settings, each commemorating an important woman from history. The Brooklyn Museum offers a great experience of cultural art and modern exhibitions for students to engross themselves in. The Smithsonian’s National Design Museum is well worth a visit for both its content and its architecture. The museum is housed in Andrew Carnegie’s old mansion; this beautiful building has the image of a university campus, with a cast iron fence enclosing the courtyard with grass and trees. The museum’s exhibits in large part focus on work that gives everyday items like furniture, computers and toothbrushes a more unique appearance, adding form to the function. They also have exhibits that cover architecture and graphic design. The renovation of the museum provides the opportunity to redefine the museum’s experience and inspire visitors to take the opportunity to bring out his or her inner designer before, during and after their visit. 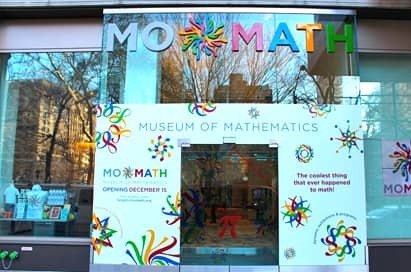 The museum’s collections and exhibitions are using groundbreaking technologies that inspire learning and experimentation. This new experience is specifically designed to engage all audiences - students, teachers, families, designers and the general public. Andrew Carnegie used the third floor of his Fifth Avenue mansion as a gymnasium where he practiced his golf putting. 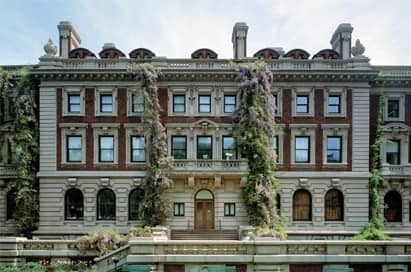 The current owner, the Cooper-Hewitt National Design Museum, have put in a small mini golf green there. This is a playful gesture to honour a piece of the building’s history and add to the image that the museum can be fun for everyone, not just specialists. 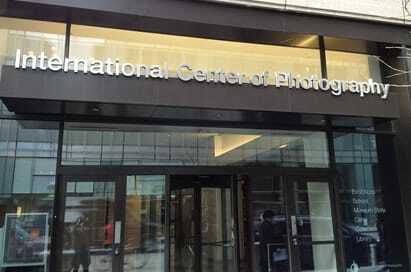 The International Center of Photography (ICP) was founded in 1974 and is both a museum and one of the largest schools of photography in the world. The museum plays host to a range of exhibitions, collections and publications as well as offering complimentary activities such as workshops, seminars, symposia and certificate and degree programs, making ICP dynamic and unique among photographic institutions. The ICP is ideal for students as its mission is to present photography’s vital and central place in contemporary culture, and to lead in interpretation of issues central to its development. This makes it ideal for any budding photographers who want to be immersed into the photography world. 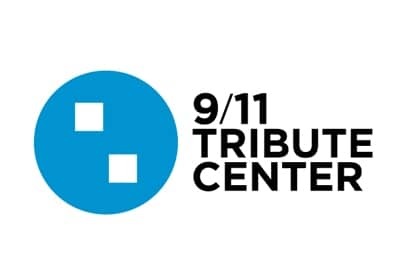 The International Center of Photography Museum Store also offers a wide range of best selling and hard to find photography books from around the world. The Museum of Arts and Design (MAD) explores the blurred zone between art, design and craft today. The museum focuses more on the contemporary creativity, and the developmental ways in which artists and designers from around the world transform materials through a range of different processes; from artisanal to the digital. The museum’s permanent collection has a global scope focusing on art, craft and design from 1950 to present day. The exhibition program on display at the museum is focused on exploring and illuminating issues and ideas, whilst highlighting the creativity and craftsmanship of the limitless possibilities of materials and techniques, that have the potential to be explored by imaginative and innovative artists. The museum is great for students as the mission is one of education. The new museum facilities include classrooms and studios for masterclasses, seminars and workshops for students, families and adults. The open artist studios engage visitors and enhance the exhibitions through experiencing the creative process. The museum also has a 144-seat auditorium where lectures, films and performances are held on a range of topics affecting the world of contemporary art, craft and design. The museum is a fantastic eye-opening trip for students to explore all the dimensions of art. 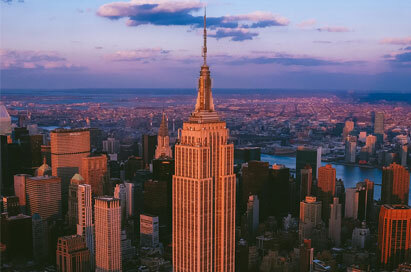 New York’s famous Empire State building soars more than a quarter of a mile above the heart of Manhattan. 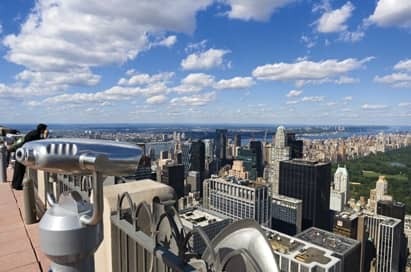 Located on the 86th floor, the observatory offers panoramic views from within a glass enclosed pavilion. 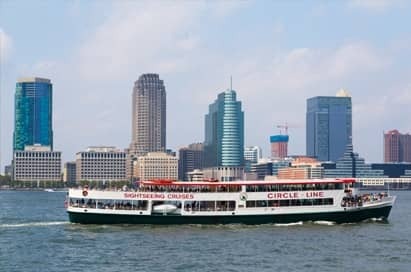 This cruise circumnavigates Manhattan Island allowing you to see all its highlights (dependant on length of cruise chosen) 3 rivers, 7 major bridges, 5 boroughs, over 25 world renowned landmarks and, of course, a magnificent close-up of the Statue of Liberty. Beverages, food and souvenirs are available on board. 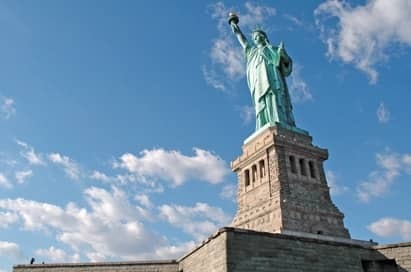 The Statue of Liberty is New York's most symbolic structure. The Auguste Bartholdi statue was given as a gift from the people of France and stands at 111 feet 6 inches from the toe to the crown. In the base of the statue there is an interesting museum devoted to the statue's history. 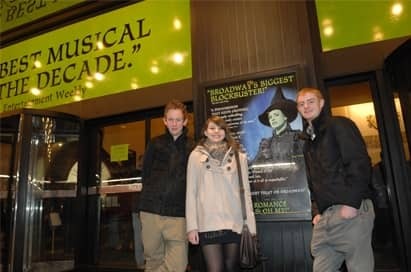 Make the most of your stay by rounding off the day with a Broadway show. The best value tickets are available for mid-week performances and can be combined with dinner in a nearby restaurant before the performance. 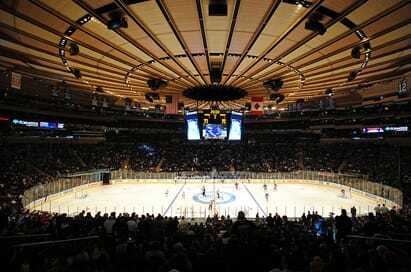 Tickets to the New York Knicks Basketball and New York Rangers Ice Hockey Games range from $25 and upwards depending upon availability. 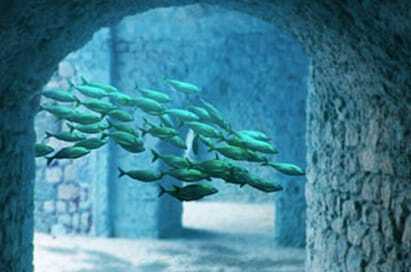 You’ll come face-to-face with humpback whales and great white sharks, Humboldt squid and sea lions, and animals you’ve never dreamed of…in ways you’ve never seen. All without getting wet! All in the heart of Times Square! From the creative minds at SPE Partners, with a team of Academy, Emmy, and Grammy Award-winning artists, National Geographic Encounter is a brand-new kind of entertainment experience. Remember and honour the thousands murdered by terrorists in the horrific attacks of February 26, 1993 and September 11, 2011. It further recognises the thousands who survived and all who demonstrated extraordinary compassion in the aftermath. 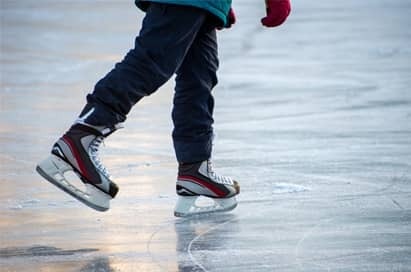 Wollman Rink provides 26,600 square feet of ice for skaters in the winter. Wollman Rink, located near the Parkside Avenue/Ocean Avenue entrance to Central Park, is open for ice skating from late November through March. The Rink features a snack bar, skate shop, skate rental and free lockers. All of the gallery visits and both Broadway shows were excellent, I would thoroughly recommend these to other schools for future visits.